How many truly iconic wheels have taken the aftermarket world by storm? The list is actually shorter than you might imagine, and very close to the top is the ubiquitous Volk TE37SL by RAYS Engineering. There is no doubt in our minds that this design enjoys a well-deserved modicum of respect and exposure for the last several years, and this trend shows no signs of slowing down. The TE37SL has a duality in its nature that seems to blend all the best attributes of what the essence of the perfect wheel is all about. It is solid without being brittle, chunky but still graceful. It is not an inexpensive wheel, but many others that offer far less cost much more. The design is impactful yet subtle, simple but far from plain. It weighs very little, however its durability is unparalleled. No surprise, then, that we at PSI are immense fans of this design, with all of its many and varied appearances. That a blatantly Japanese wheel is so popular in the European car scene is intriguing and yet not surprising, and we love it all the more for the ease with which it blends into nearly any build and project car conceivable. You’ve seen it here on our very own Project Fire (Version 2.0), and you will see it again in the future. It is with great pride and no small amount of confidence that PSI offers the Volk TE37SL wheel to the BMW community at large. We can provide any and every fitment, offset, and finish available from the manufacturer, so please don’t hesitate to contact us with any questions! 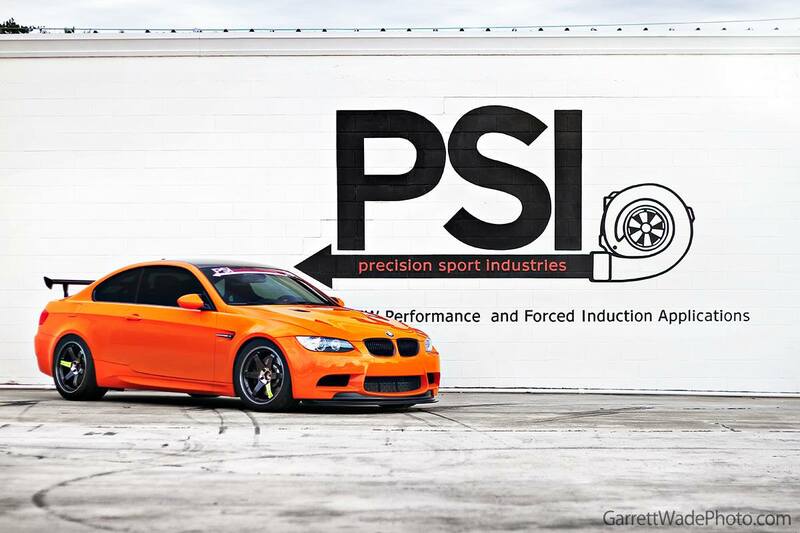 PSI Is Proud To Carry The Full Line Of Volk Racing Wheels.